WMany investors would be tempted to buy cheap apartments for sale in Barcelona. Most of the times, they buy the property for simply one reason: it’s cheap. At the time of purchasing a cheap property sold on a lower market price might sounds like a good deal. What an investor needs to be aware of is this: there must be a valid reason on why the apartment can be offered at a very cheap price. Usually, the cheapest property carries the most expensive risk. Is there something wrong with the location? Is it safe? Is the economy healthy? What kind of people living here? Do they need housing? What are the risks carried by this location? When it comes to invest in property in Barcelona, having sufficient local knowledge on an area you’re interested in is crucial. The future of the location. The location seems good and promising at the moment, but do you know what will happen 5, 10, or 15 years later? What are the Municipality’s plan about this area? Are there any developments down the pipeline, like a new mall, an amusement park, or a factory? Will they impose some rules that might restrict your property’s potentials in the long run? The other apartments in the area. What is the price range for other apartments in this area? What about the apartment next to your apartment, or the apartment two blocks away? Is your apartment cheaper compared to the others, or are all the apartments in this area is being offered at a low price? You need to know whether an apartment is cheap because the area is cheap, or because there is something wrong with this particular apartment. Is there anything wrong with the building at the first place? What about the constructions? The walls? The pipes? The engineering? When necessary, get a professional inspection to find out whether the building is in a good condition or if it’s falling apart. Buying a cheap apartment that needs a lot of improvement and fixings might cost you the same amount of money with purchasing an apartment sold with average market price. Did the owner made any changes to his property before? In Spain, any additions, improvements, or alterations made to a property after its original construction must be conducted with a permit. The thing is, some property owners and contractors make changes to their property without taking care of the permits or licenses. Be mindful about this, because once the property becomes yours, you will be responsible to pay the fine for these non-existent permits or licenses! Who owns it? Is it a legitimate property or illegitimate one? Is it registered and have deeds? Does the seller has legal authority to sell? Are there past dispute records regarding this property? Is there a record in the local Municipal or Town Hall about whether the property has been legally built? Are there tenants in the property you’re about to purchase? Knowing these things in advance would save you the headache of dealing with post-purchasing troubles later on. When you are offered a cheap apartment in Barcelona and the price is below the standard market price, be really skeptical about it. Be more skeptical if the seller is pressuring you to buy. A wise investor do not buy a cheap property. He buys a good property that will give him good returns. 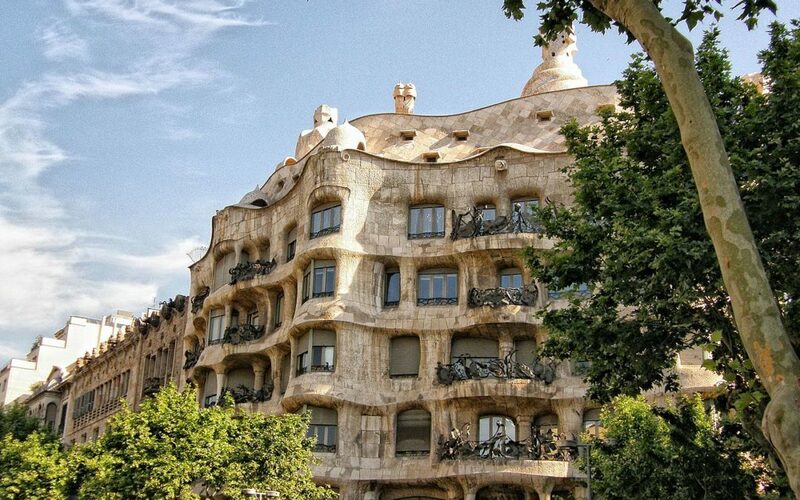 Do you get an offer to buy a cheap apartment in Barcelona or have been eyeing one? Would you like us to do a background check on this apartment and provide you a report on why it is sold below the standard market price? Just let us know and our experienced consultants will be pleased to assist you!